There was the guy who was stopped on I-270, near Clarksburg, Maryland, a few weeks ago. He had 250 pounds of marijuana in his car. Or the guy who pleaded guilty Tuesday in Prince George's County. He was headed to Pittsburgh with six kilos of cocaine in his pickup. Or the 347 pounds of pot that was found stuffed inside a box truck headed north on I-95. There's been a recent spike in drivers busted on highways near Washington. D.C. with big loads of drugs, according to police and records reviewed by the News4 I-Team. In Maryland, the number jumped from 1,752 in 2015 to 1,971 in 2016. In Virginia, roadside drug arrests rose from 3,163 in 2014 to 3,354 in 2015, the last year that figures were available. Law enforcement officers say drugs follow certain patterns as they move across the Washington, D.C. area. "In this part of the country, in the Northeast, drugs typically run north to south," said Neill Franklin, a former Maryland state police trooper and transit officer. "Interstate 95, north to south." "The cartels, other major organizations, crime syndicates who are in the business of shipping drugs, they know this -- so they ship a little bit more, knowing that it is going to be intercepted. And what they want to arrive in New York or Miami or Baltimore city or Philadelphia, it arrives." 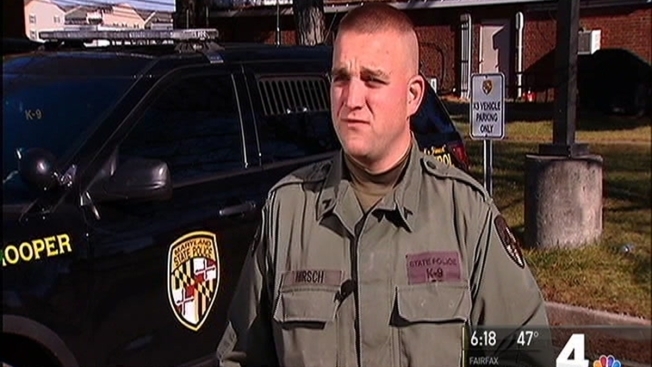 Maryland State Police Corporal Brian Hirsch sees the fight against drug transportation from the front lines. He patrols Maryland highways with a K-9 officer, Pascal. Pascal, by the way, can sniff out a small bag of drugs hidden on an SUV outside state police barracks -- its scent undetectable to human officers -- in less than a minute. "The narcotics industry is a billion dollar industry. They're spending all day, every day, trying to deceive the police officers on the road," said Maryland State Police Corporal Brian Hirsch. He believes part of the increase is due to the heroin epidemic ravaging so many states, including Maryland, he said. But that's not the only reason. "Marijuana is still a drug of choice across maryland. We're seizing a lot of marijuana," Hirsch said.